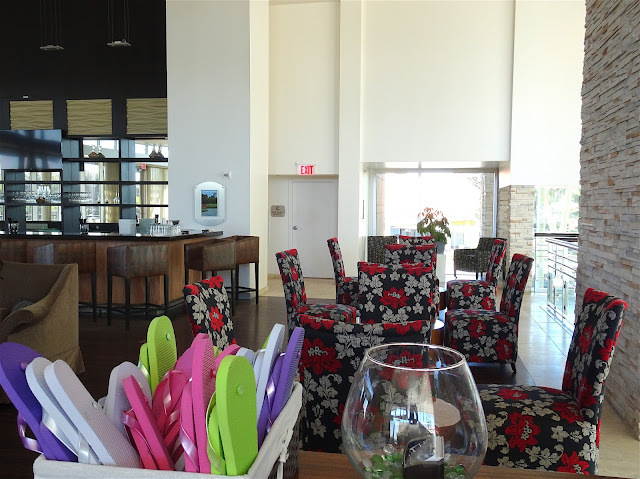 I recently replied to a FB post inviting event planners and bloggers to an event hosted at La Torretta Lake Resort on Lake Conroe. The several times I've serviced my makeup and bridal clients at La Torretta, I always have left wishing I had a reason to stay and explore the property. Little did I know that my FB reply was going to send me on a one day staycation at La Torretta! The event was called Weddings At The Lake. 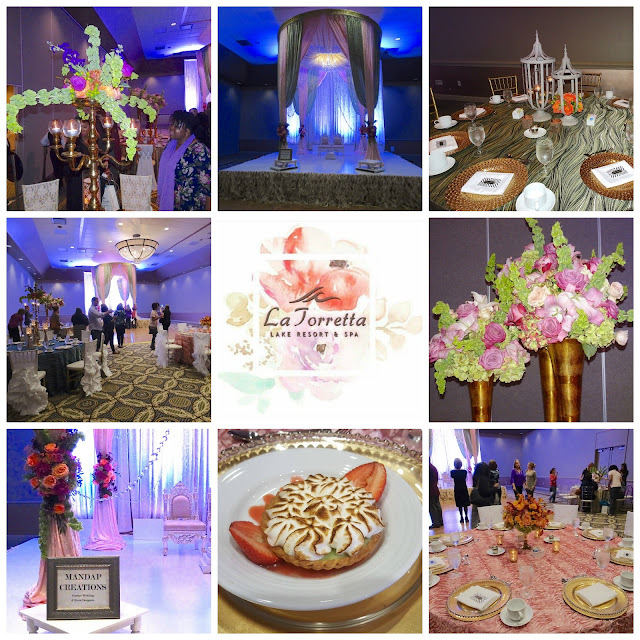 Wedding and Event Planners & Bloggers were invited to experience VIP treatment compliments of La Torretta. After working on a styled shoot all day at a brand new venue in Montgomery, TX on Monday (details on that for another post..), I checked into La Torretta. 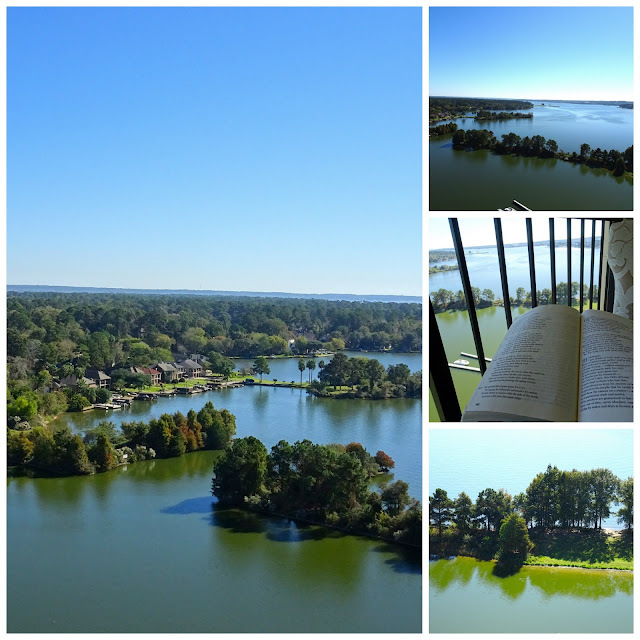 I was taken to the 19th floor where my room faced beautiful Lake Conroe! Before I could even explore my room amenities, I received a knock on the door. 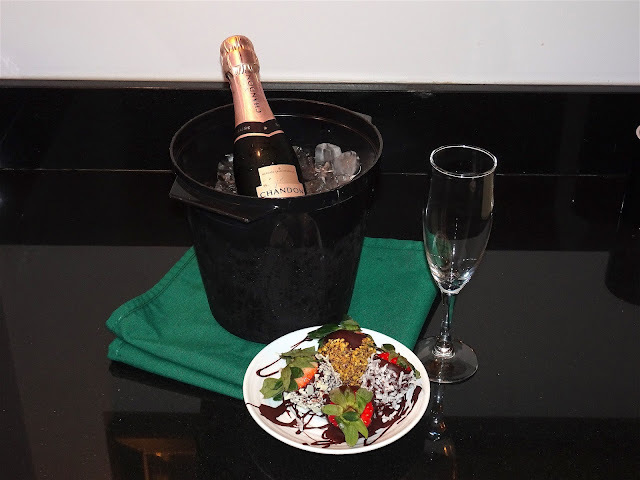 The hotel was delivering champagne and chocolate covered strawberries for me to enjoy! 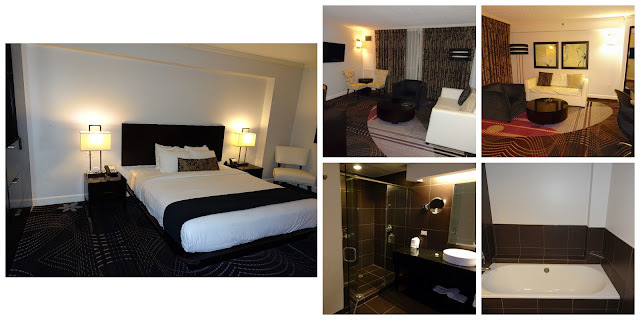 I had a great 2 bedroom suite - more than enough room for just me! The highlight of my evening was taking a bubble bath in the massive bath tub - I was floating in it! The bathroom counter was nice and long too - plenty of space for makeup and hair products. The morning view was amazing! 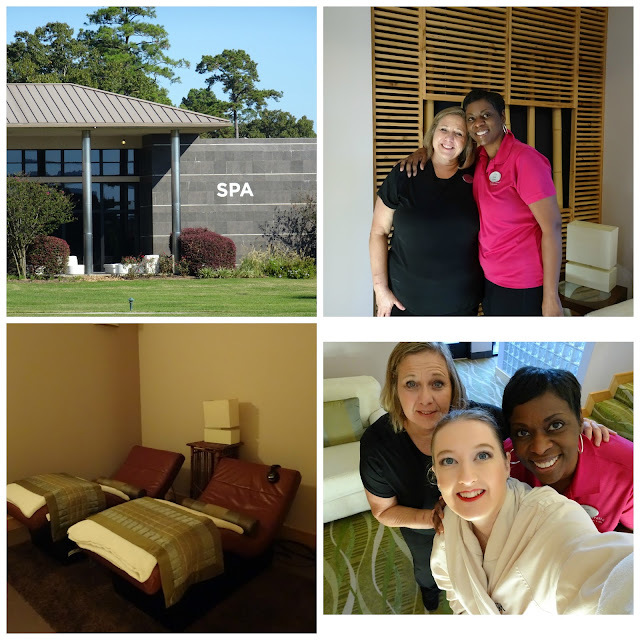 I had an appointment at The SPA At La Torretta at 9am where Connie treated me to a reflexology foot massage. I thought I knew what to expect, as I have had foot massages before, but the Satori chair and sound system that gives you a massage using sound waves made the experience divine! Since I was the first appointment of the day, I got to visit with therapists Connie & Crystal and they gave me a tour of their numerous treatment rooms - several of which are designed for couples. The SPA is surprisingly large. It can easily host a large group of ladies. You can work with catering to have beverages and lunch brought over for your party too. This spa is perfect for a bachelorette party. The SPA also has a full service salon for hair, makeup and nails. If a bride or client needs more personalized, on-location services, a free-lance makeup artist (Me!) will need to be hired. After my foot massage I enjoyed the beautiful walk back to my room and enjoyed some much needed quiet time sitting on my balcony! This is the beautiful lunch that was laid out for us at The SPA. 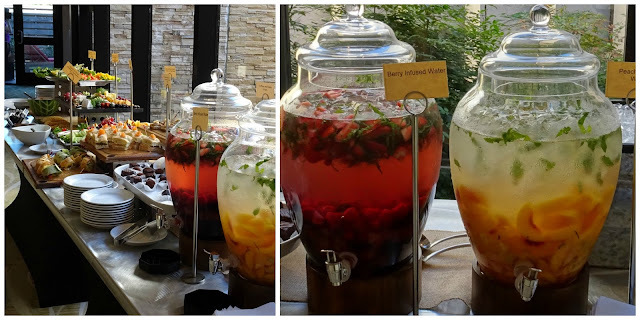 These Berry Infused and Peach Infused waters were a hit with all of us. At 2pm, the La Torretta Lake Resort staff met us on the second floor of the tower to give us name tags & flip flops. We then began a tour of the property. I learned that all of their rooms are king or queen suites. This makes it perfect for couples AND families. Here is the view from the pool side suite. I know kids love it, but there are plenty of pools and hot tubs for adults to enjoy too! Then we were taken to the Presidential suite on the 20th floor. If a bride and groom is staying at the hotel, they will upgrade them to the largest room available for their stay (based on availability, of course), so a few lucky couples will find themselves enjoying the very spacious Presidential suite! 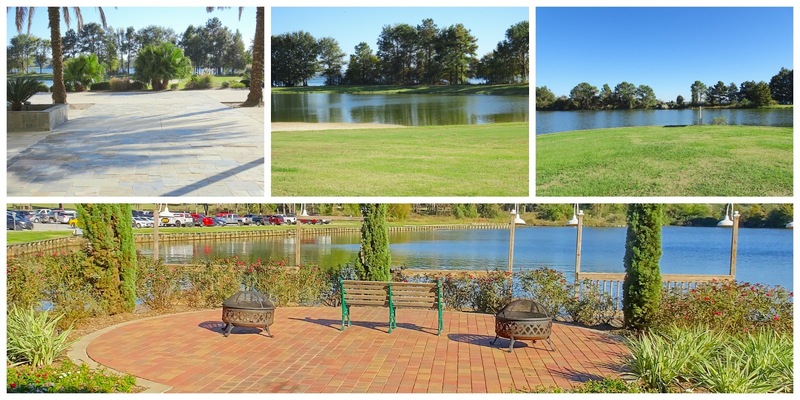 The staff at La Torretta wanted to showcase their various options for wedding ceremony sites. All of them included great views of the lake. Wedding Ceremony Locations at La Torretta Lake Resort: Between the 2 Palms, The Beach Location, Lake View and The Versailles Ballroom Location (this was my favorite place to sit and enjoy the sunny weather). Our venue tour ended with a cocktail networking reception (aren't my hostesses & Wedding Cake Cocktails beautiful?!?!). 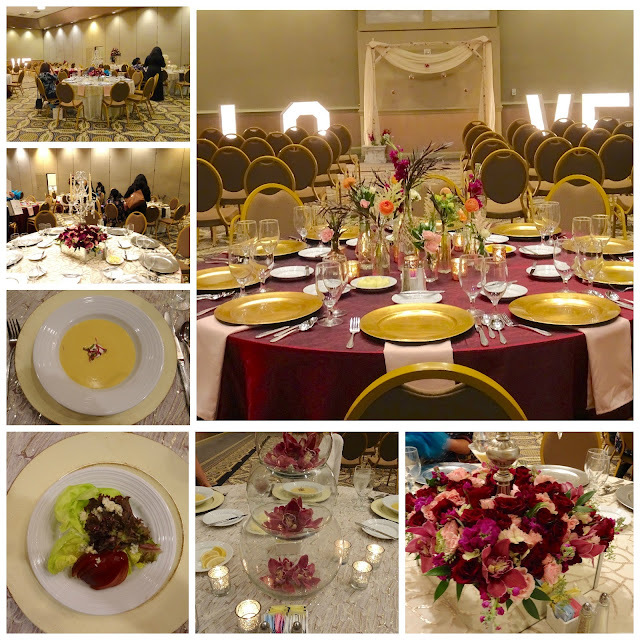 Soup and Salad was served in the Americas Ballroom 1 with styling done by Sweet Tea & Linen and florals provided by A Different Bloom. We were served the Entree Course in the Americas Ballroom 2 which was styled by Events to Remember. 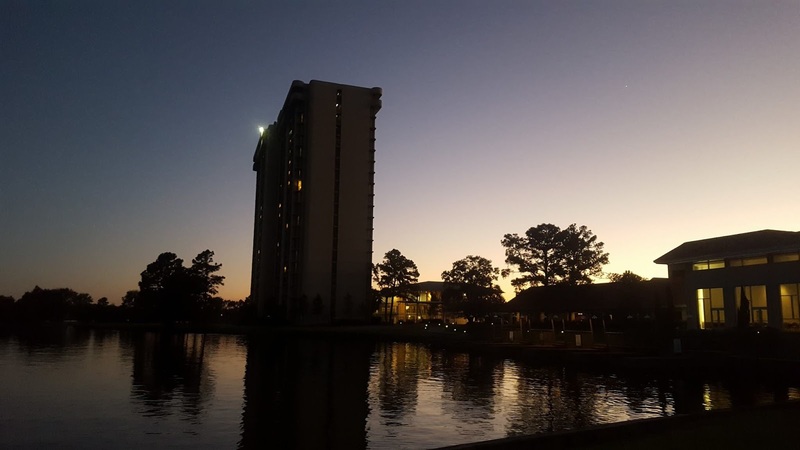 I loved my 24 hours spent at La Torretta Lake Resort and I can't thank them enough! I highly recommend it - it's only an hour outside of town! This looks like the perfect destination wedding location. Thanks for sharing! It is perfect for weddings, Jenna! Thanks for stopping by! Sounds like the perfect getaway spot! It is a perfect getaway and you can get there in about an hour from Houston! You had me at a room with a balcony! What a great place. Hopefully next time I'm visiting TX, I'll be able to check this place out. What a lovely hotel and staycation! Thanks, Heather and the lakeview balcony was great! Wow so pretty, great to have a place like this not too far from home! This place looks gorgeous and the perfect little getaway! Thanks, Michelle! I hope you get to visit one day soon! This place looks like a great place to have a staycation soon! Thanks for sharing! It might be a hidden gem! Wow! What a beautiful place!!!! So glad you were able to enjoy more time there. Now I'm craving some infused water haha. This looks amazing! This would be a day trip for out there but I really want to go now!